The ReVersed Game Jam, happening next week, gets some love from the biggest gamedev in Austria: Bongfish! This ensures that we can offer all of our jammers some food & drinks, as well as make sure that RaumD, always maintained by monochrom & the QDK, get the funding they deserve, in these trying political times.. Thanks Bongfish! The scholarships include two opportunities for undergraduate and graduate students, IGDA Scholars and Women in Games Ambassadors, and Next Gen Leaders, a retention program for under-represented minority game developers with 3-10 years of experience. The programs include an All-Access pass to GDC, a travel stipend, an individually-selected mentor, and great personal and professional development opportunities too. More here! 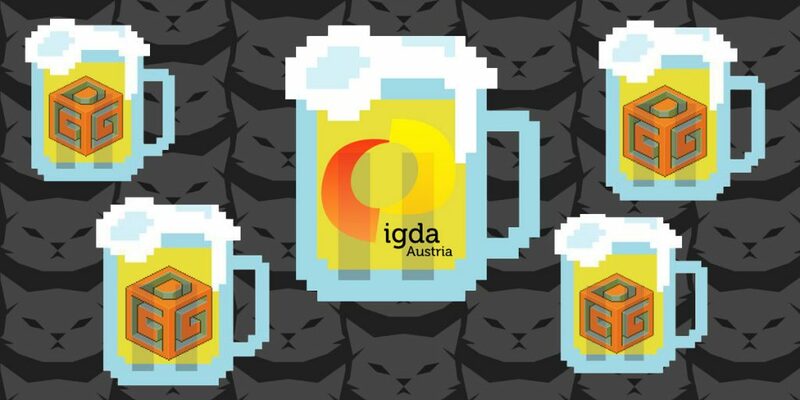 Come and listen to the latest the IGDA is doing in Austria, all the things that went down at Game Connection Europe, as well as details on next years ReVersed. First round of beers courtesy of metalcat.at! Find out more here. 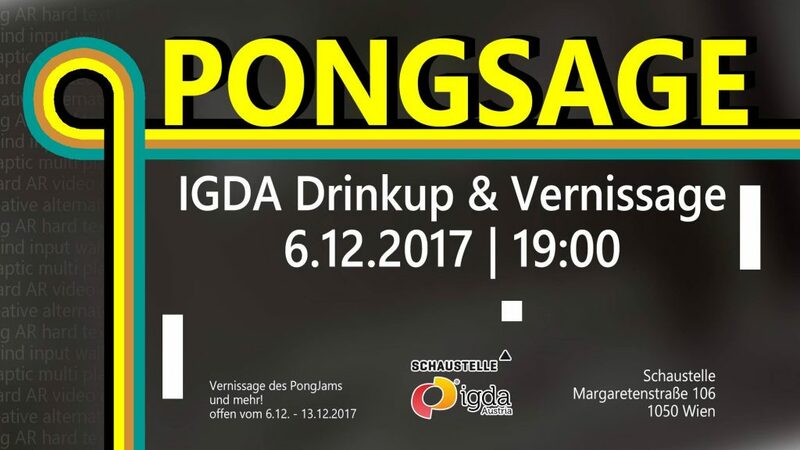 PONGJam Results & IGDA Drinkup in Vienna! Stay up to date and play a million pongs, this is our last Drinkup before the year ends. Drinks courtesy of metalcat.at! Find out more here. From the 26th to the 28th of January the Global Game Jam will take place again! This time, with no extreme Game Jamming at -10°C, at RaumD in Vienna. If you have time and want to help out, please get in touch! If you want to sign up, head here. It’s been a bit silent around these parts, mostly due to HQ’s WordPress not really working as it should, and our inability to sort it out ourselves, but now we have regained our old login credentials, and we’re back on track! First up: Local Memberships! 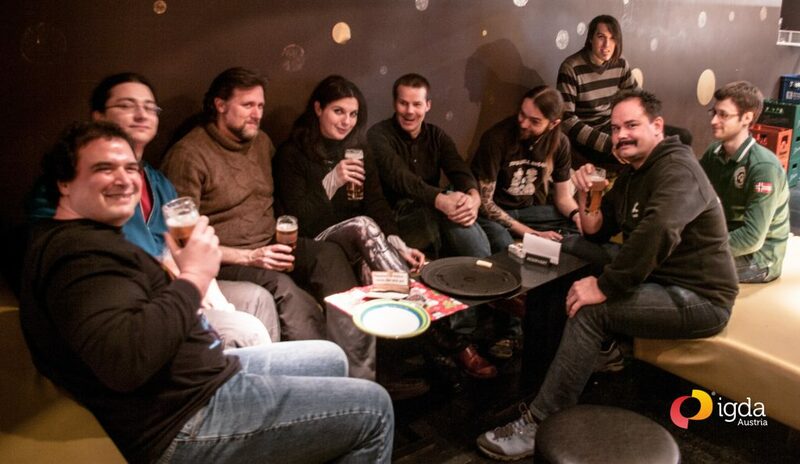 Come and join the Austrian community of developers, with partner events such as Gamedev Days Graz and ReVersed in Vienna, with more on the way! Stay informed on the latest happenings and always up for having a drink with your fellow developers, or come and see talks by leading members of the community. Last but not least, enjoy several discounts & offers by partners of IGDA Austria, always working on getting more! One good example of those partnerships: with Tom’s verse publications of course! If you are a member of IGDA Austria, you get an exclusive discount on all of their workshops, including the upcoming one with Tramell Isaac! Working in a team in the games industry can be a challenge: either finding a spot to call your own in a large established company or making sure that startup culture doesn’t automatically mean you should give up on ever seeing daylight again from all the crunching or low wages. In this edition of the “X For Games” workshop series, Tramell Ray Isaac is going to talk about game company office culture, management issues & how to be a better employee/manager specific to the games industry; as well as share his experience in art direction on a more practical level, in this two day workshop. Last but not least, here are some impressions of our latest DrinkUp, kindly sponsored by LemonPi! Pathfinding Workshops, ReVersed Giveaway & Next Drinkup! 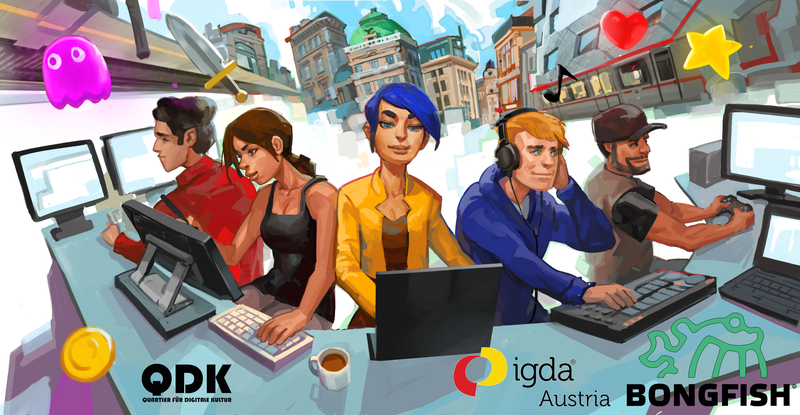 IGDA Austria is offering a “Pathfinding Workshop: Freelancer Edition”. The talk will be hosted in RaumD at the MuseumsQuartier on the 13th of January 2017 from 14:00-17:00. In our panel we will have Mag. Florian Kalchmair (independant tax consultant with experience in the games industry) and Lost In The Garden (independent games studio in Vienna, experience with subsidies). This is a space where you can get informed on your options, ask all the questions you need to organize yourself on your career as a freelancer or business owner. The ReVersed team is having a Christmas Giveaway! 3 bundles of 6 awesome games! Link below with more infos to participate. Games by Parallel Circles, Bloodirony Games, Mi’pu’mi Games, Vlambeer, Broken Rules & Imakegames! 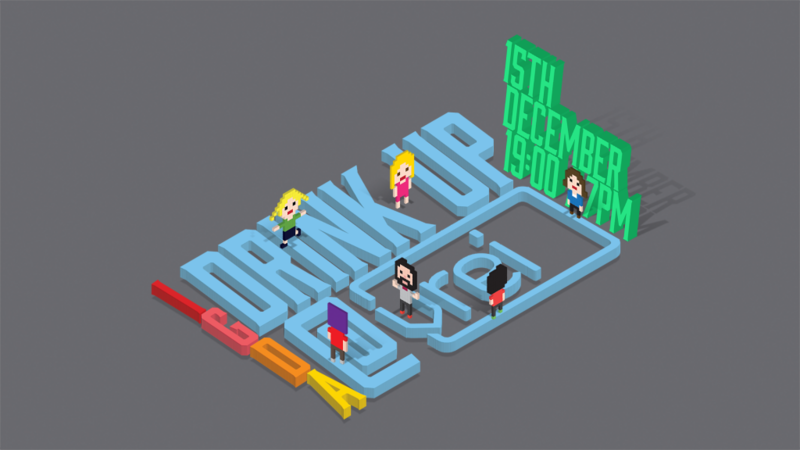 We had an awesome time at our last Drink Up so we’ve decided, bring on the next one!! 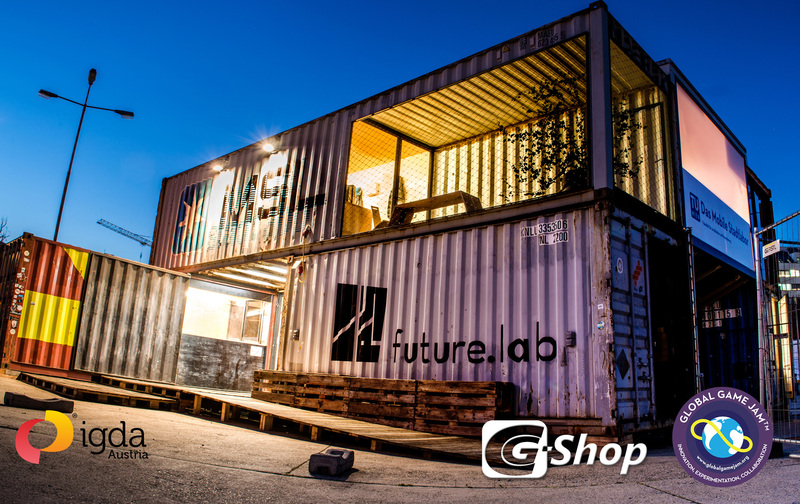 Mark your calendars, on Wednesday 15th of February 2017 in WerkzeugH at 19:00. Of course, this one is in Vienna but we’ll keep you updated for Drink Ups in other communities in Austria. 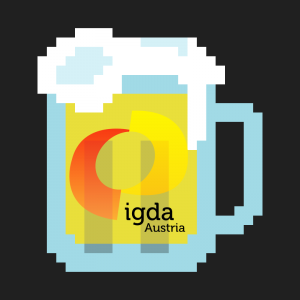 IGDA Austria has finally launched! Just like everything else, we’re putting a fresh coat of paint to bring you contemporary and frequently updated information on the latest events and things you need to know. We want to make our next drink up special for all of you! 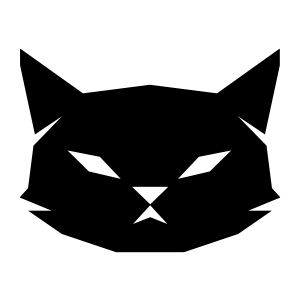 We’re pleased to have partnered up with METALCAT, making it possible to give all of you a free drink during our gathering. Also, who doesn’t like good ol’ games, we’re going to try something new by bringing you a game corner. We’ll be surprising you with a vintage console and game to go with it. If you want to feel reminiscent and possibly challenge other people, you’ll definitely love this. And of course, the Global Game Jam is creeping up on us quickly. We’re happy to have one of our favorite developers Des Gayle, producer at Square Enix Collective, as our keynote speaker during the event. The sign up webpage as well as more information regarding the venue will be available soon!